The Jogr was the last of my fall races, so starting this week I am on rest program which means 4 miles easy running every other day. Had this week off of work as well. The week started out on a low point when Brooks told me that they were not going to renew my ID contract for next year. Then things got worse on Wednesday when I attempted a totally pathetic attempt at 3x1200. I was not able to run, and the morning swims may have had something to do with that. I cut the workout short after the first 1200 as lightning was flashing around the track. 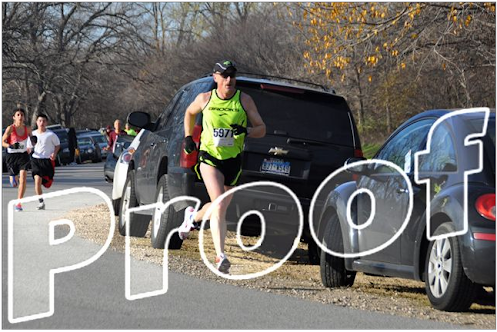 By Friday I found out that Brooks was offering me a lower sponsorship rather than no sponsorship - so that was cool. Saturday I did an acceptable 5K at the Jogr Egg Nogr - but I did not break 18, and for the first time in 2.5 years I got beat by someone older than me. Sheesh! Sunday, TZ, VickyP and I had a special ride. They were fixing to open a new section of the George Bush Tollroad from Flywheel Mall to I30. We took a preview on our bikes four days before openning. That was fun. Particularly when Vicky P crashed into the Bicycle Trap! The Jogr Egg Nogr is traditionally one of the last races that I do each year. In 2010, I won overall masters and broke 18, which was a huge accomplishment. 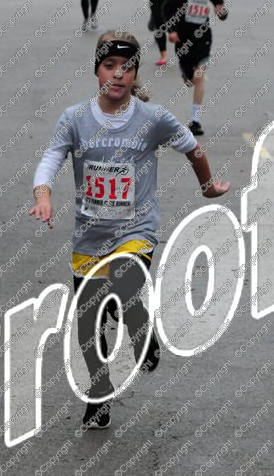 This year I was not as fired up coming into the race. I had a crappy track workout on Wednesday which I aborted due to lightning. And earlier in the week I had been notified that Brooks was dropping me from the ID program next year. It was a beautiful morning to race, sunny and in the mid thirties when I got down to Norbuck Park. I had a nice warmup at Norbuck. I realized that I had not run there in a long, long time which was also kind of sad. From there I jogged up the hill to the start on Fisher. Just before the gun went off I saw TZ a few rows back. The two high school kids that I ran against in the Penguin Run lined up right in front of me. As is the norm with this race, its hard fast downhill start. I was immediately in front of the one of the HS twins meaning I was running harder than Arlington but not too fast as the other twin was in front of me. As we got on the mockingbird bridge I notice a guy with lots of really long grey hair running out in front of me. And this guy was hammering. He was in front of the other twin! At the turn I was really surprised with the number of people in front of me. LOTS more than last year. I was running with a group of HS runners and here I started picking them off one by one. Some of them would come back but I was still nailing them. Once we got back up on the bridge, the grey haired guy jumped in to the road, and I did the same. He had 200 meters on me at most, but I was not making much up on him. I still had the one HS twin in front of me and the other in back. Once I got down on East Lawther, I gave it everything I had. Robert Vaughan was not in his usual spot which was a big disappointment. I kept pushing as we came back into Norbuck and came through in just over 18. Dang! Just after me, KeithD AKA RED SOX GUY came through. I had not seen him at the start or during the race! Well the grey haired guy turned out to be Chris Phelan - who is 55 years old. And that was the first time in over two years that I have been beat by someone older than me. 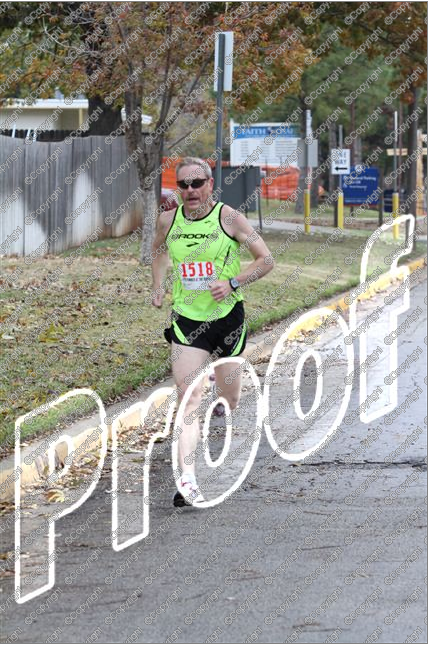 This year I was fourth master, but I did manage to win my age group. Friends don't let friends wear pointy helmets! Really good week; I am feeling like I am in the best condition in a long time. Ron and I started doing Monday, Wednesday AM swim sessions this week. It will be interesting to see how this progresses. For the first week we had no problems! Nice Tempo on Wednesday and a solid effort on Saturday as well. I started November with a really hard track workout that did not build confidence at all - I was slower than I thought and it really hurt my PF! My plan was to run the DRC 5K but soccer got in the way of that idea. 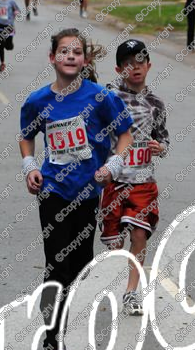 However, later this month, I had to take Rissa to Tulsa where I had hoped to make up that 5K. 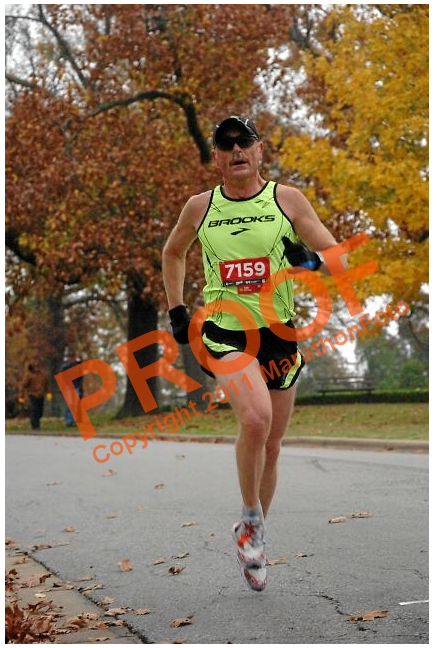 Instead I ran my first half marathon in 16 years and crushed my age group by four and half minutes. Because that race was four days before thanksgiving, and I was still splattered from the race, I did not do a turkey trot this year. But by the end of the month, I was actually feeling like I was in the best shape of the year. 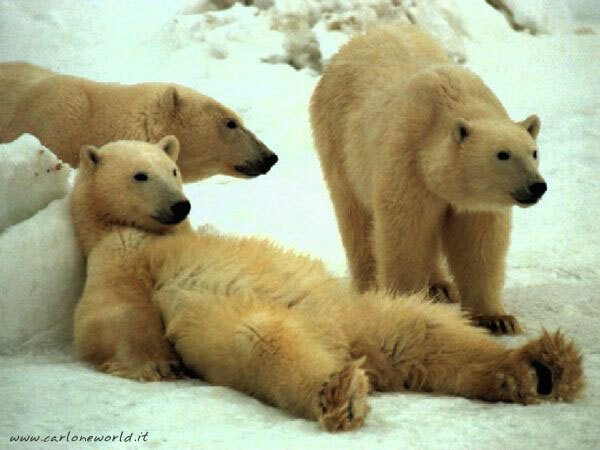 I was still in somewhat of a recovery from the Half Marathon this week. Wednesday I headed to the track for a 4x600 session. I was doing really well but as I was coming around the second turn I felt my right calf twinging a bit. In this case, I decided that I had better call it a day at that point. 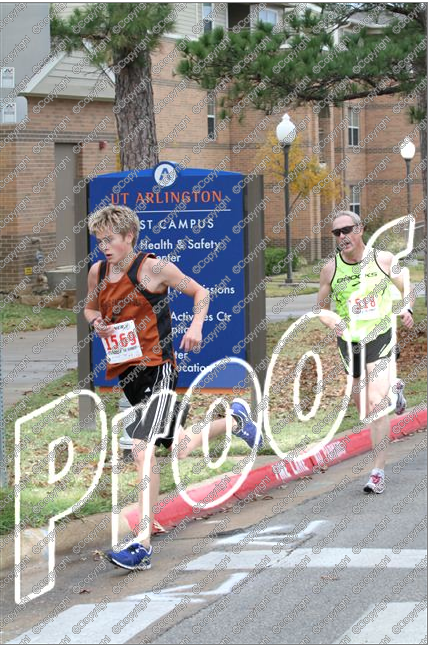 Saturday Reagan, Carson and I all hauled it out to Arlington for the annual Penguin Run! Sunday it was raining like a mutha so I just did an hour on the lifecycle at LTF Garland. 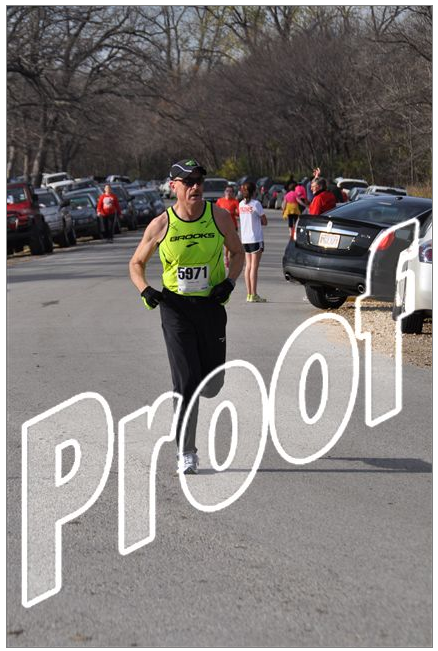 Saturday Dec 03 - Penguin Run 2mile 11:36, 3rd overall, 1st Masters. 6.75 miles run. For the forth year in a row Reagan and I decided to get out there and do the Penguin run and for the second year in a row Carson joined us for the big event. After getting everyone signed up I headed out for a warmup run. The great thing about this event is that it takes over the UTA Event center. So the kids were happy to hang out and get some snacks and check out the various booths that they had set up. Warming up just in front of me were Andy Prior and Chris Stewart. I showed them how the 2 mile course was set up, although Chris was running the 10K. After that i did my usual routine of some strides and then I put on the T7s and stripped down at the car. The kids were ready to roll so we headed to the start. I got up near the front for the start which is a combined 10K/2 mile start. Because there are a ton of kids, including HS kids, it is a fast start and this year was no different. I made sure to start comfortable rather than get out in the front. The two mile takes a hard right after about a third of a mile. I was in a pretty big pack and did not get all the way to the right but was able to get one guy to yield and then made the turn without creaming someone. At this point I was in fifth position. Andy was leading the race with one HS kid running with him and then a bit behind those two were what looked to be a masters runner with another HS kid. 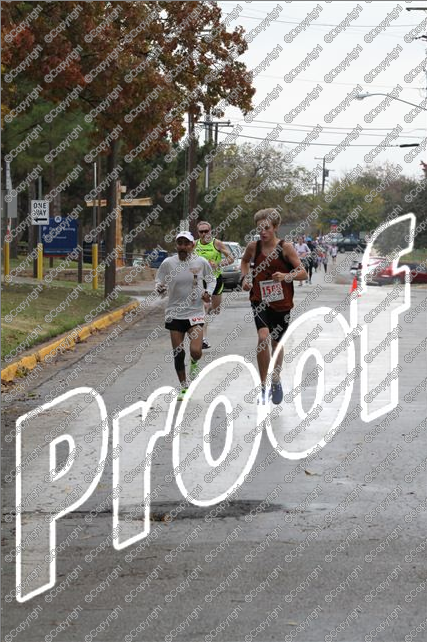 Even with a bit of a headwind, I was closing the gap on the two guys in front of me. The course goes left and then right and on that right turn I caught Jesus, the masters guy. I put in a good surge and came through the mile in 5:40, which was an improvement on the last two years. Now I was closing on the HS kid, and I was pretty sure it was only a matter of time. As we came around a sharp left, he slowed and I nailed him. We had a slight uphill section and then it was back down the way we came, except into a sea of joggers!! Yikes - this was a lot worse than I ever remembered. The only solution was to work towards the left and the slow runners all had the right lane. 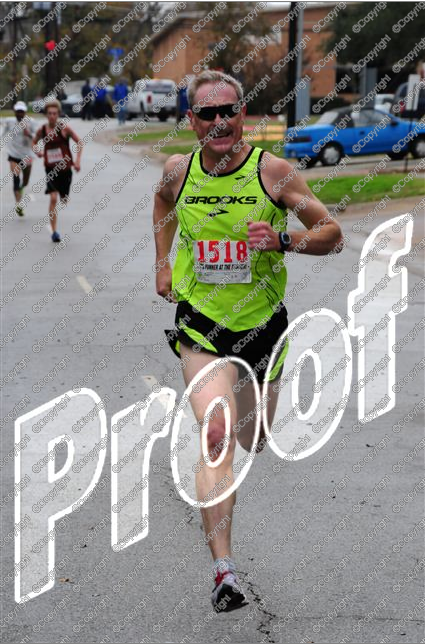 I managed to get through that mess and then put the hammer down for the last third of a mile, coming through in 11:36, 7 seconds slower than last year, but third overall and my third masters win in the last four years at this race. Then I jogged back to pick up Carson and Reagan. I had to jog much farther back than I expected before I found them. Like last year, Carson was strong, and Reagan was running out of gas. But at least Reagans asthma was not bothering her like last year. 2011 Penguin - my ninth one and third big one!